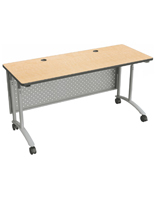 These wheeled sit stand computer tables make great workstations for both schools and offices. 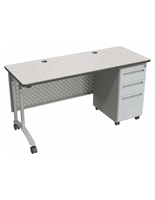 Each desk features a durable steel frame with an adjustable height and a laminate countertop, both in a neutral gray finish. 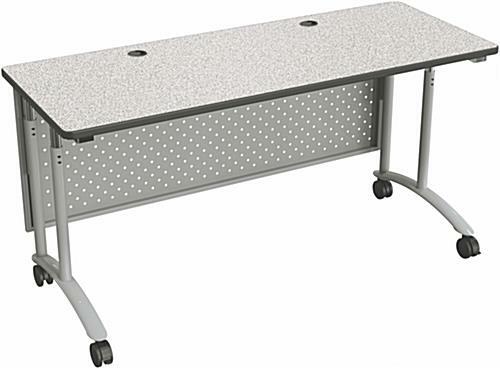 In addition, the sit stand computer tables come with four dual caster wheels for mobility, while two of them lock for stable use. 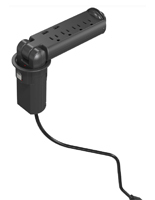 The gray workstations also have two tabletop holes for managing cables or grommet outlets. This type of adjustable height computer table allow users to alternate between positions. Also included is a perforated modesty panel for additional privacy.